Hard to believe, but yes the unfaked biography of this Banyan tree over past 100 years. The world is a place where we often come across with strange things with absolutely no logic. But this Banyan Tree in Pakistan fades all those lists of bizarre news that you read every day. Not only is this, but the story behind Banyan Tree also very strange. 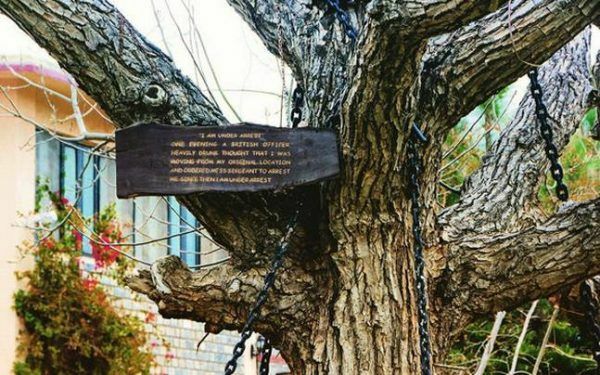 Moving to the past, over a hundred years ago, in 1898, a banyan tree located in Landi Kotal army cantonment area was arrested by the British Army Officer James Squid. He saw an old banyan tree that is lurch towards him while he was in a drunken state. Squid ordered the soldier to arrest it immediately. Even after hundred and eighteen years later, the tree’s punishment continues. Over the years passing, it still stands in the same spot with the chains tied and the board hanging on it includes “I am under Arrest”. According to some residents, through this act, the British signalled the locals that they would face the same punishment without any warrant if they went against the government. Whatever the reason may be, the story of the tree has made the area popular among the people. Landi Kotal is a small town in Pakistan, situated in Federal Administered Tribal areas. It is the tourist destination due to the historic Kyber Pass. Landi Kotal is at the western edge of kyber pass that marks the entrance of Afghanistan. 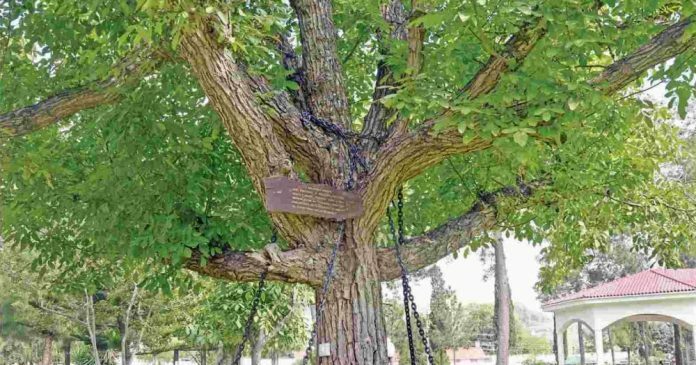 If you visit this town, you can witness this unusual banyan tree kept chained to prevent it from moving.